What does GTA have in common with NBS? Both series are deeply rooted in players’ minds. Enhancing cars, modifying their appearances or performance wasn’t a first thing to show in Grand Theft Auto. Despite of famous Pay’n’Spray, a fully-fledged tuning appeared as late as in San Andreas instalment. 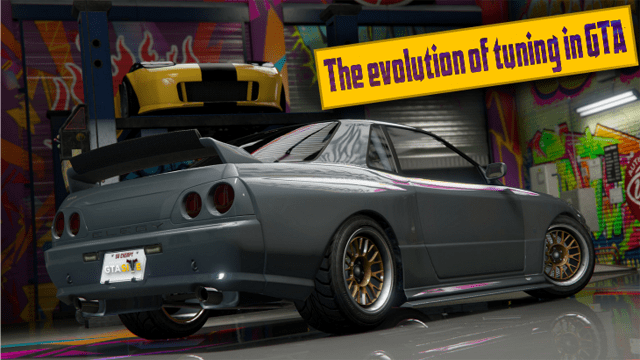 How does the evolution of tuning in Grand Theft Auto look like? GTA 3 and Vice City were focused mainly on a gangster story. We were carrying out consecutive missions and eliminating targets. Although in Vice City we could race, there wasn’t a possibility to influence the look and the performance of our vehicles. Novelties occurred in San Andreas. As it befits Rockstar, the novelty in the form of garages, where we can modify our cars was quite large. In the entire San Andreas there were three companies that specialized in tuning. The first one was Loco Low Co. We could visit it in the first missions in Los Santos, where we were driving a lowrider on the competition in Cesar Vialpando’s mission. As you can guess, the possibilities of customization was quite vast in here – we can change not only painting, but also add (or remove) roof, install new car audio (better bass for our home speakers), hydraulics, and we could also add something that is missing in GTA V, namely nitrous oxide. In San Andreas we can find two other companies that specialize in customization. It is TransFender and Wheel Arch Angels. The first one – TransFender – specializes in modifying most of the cars we meet on the street – from Admiral, through Greenwood and up to Mes, the jeep. Except for that, in this place we could also tune the best sports cars, like for example Cheetah, Super GT, or Turismo. Modifying options were also very vast. Customization included the chance of the hood, exhaust, lights, as well as wheels and rims. If you had some spare time, you could change a regular, unobtrusive vehicle into something extraordinary. The last from San Andreas workshops is available in San Fierro – Wheel Arch Angels. It is the best workshop, where you can improve and modify vehicles. However, it is limited to 6 cars only – Elegy, Flash, Jester, Stratum, Sultan, as well as Uranus.The costs of upgrades differs a bit depending on the car. However, just look at this. After customization, Jester looks great. Tuning cars is not the most important element of GTA V. However, its significance is largely highlighted by multiplayer game mode. Although we do not have several companies that specialize in tuning, just like in San Andreas, it is worth to notice that Rockstar expanded this element of the game in GTA Online when compared to storyline mode. The base workshop, where we can improve our cars and motorcycles is Los Santos Customs. They do not limit themselves to upgrading only specific type of cars.In storyline mode, new modifications are unlocked as with progress further into the main plot. Whereas in GTA Online, we can unlock new upgrades by either progressing further into the game or by doing specific challenges. They include the necessity of winning specific number of races just to get access to a rare body car paint. If you ask any racing driver which element of the car is the most important, he or she will most likely respond one thing – tires.No wonder – it is the only element of the car that is always in contact with the surface. It depends from tires whether we perform good, whether our tempo is great, and whether we are safe. For example, in F1 we have several types of tyres with different hardness which corresponds to their durability (degradation rate) as well as to the traction on the track. Tires are also very important aspect in GTA V. This is the first part, where in addition to changing rims, their colours or the type of tires (whether we choose off-road or street ones), we can also install bulletproof tires. The last modification is particularly essential when we are to run against opponents or police. The real breakthrough that may be a dream coming true for many tune fans is the Lowriders update from 2015. This update introduced a brand new workshop to GTA Online: Benny’s Original Motor Works. Unfortunately, up to this day this workshop is not available in the base version of GTA V. Contrary to LS Customs, they specialize in upgrading only limited number of vehicles. However, there is also a small catch. In order to improve particular auto, we have to modify it first in order to unlock access to special modification. The cost of afore-mentioned update is much higher than the value of the car. For example, we can purchase Comet for $100.000, but its customization will cost $645.000. Despite that, it is worth it. Customization at Benny’s is more like the one from NFS Underground than a modest one prepared for Grand Theft Auto. Special spoilers, bumpers, lights, paintings, unique rims, and rich option of interior changes together with the change in the colours of it, the chance of clocks, steering wheel, or the chance to change seats to bucket seats of race seats.Yes, there are a lot of things for the automotive fans to change. It costs a lot? Yes, one can invest in bunkers and offices, other one in customization of their beloved machines. You can’t have all. What is your take on this? 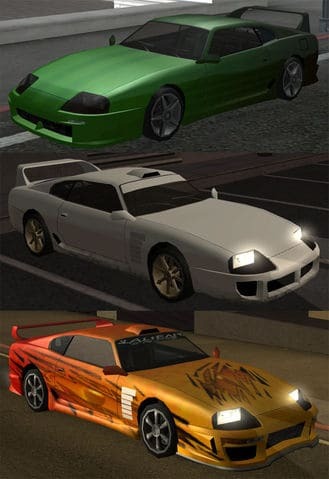 Do you think that customization plays an important role in GTA? Would you like to have such expanded customization in GTA VI?